Materials scientists have discovered a way to thwart a major cause of lithium ion battery fires and explosions. There have been many cases of Li-ion batteries in high tech gadgetry being a danger to users and their families but perhaps the best documented recent case was that concerning the Samsung Galaxy Note7. After careful investigation by Samsung it was concluded that the battery was solely to blame for fire-hazard incidents with both the original and re-issued Note7 smartphones. Thus Samsung could go ahead and remanufacture devices and release the Galaxy Note FE without worry – as long as the battery pack was thoroughly tested as safe. Drexel professor Yury Gogotsi, working with a doctoral candidate visiting from Tsinghua University (Beijing), has recently published (PDF file) a paper entitled “Nanodiamonds suppress the growth of lithium dendrites”. He had taken note that the root cause of fires and explosions emanating from Li-ion batteries was the formation of small dendrites between the anode and cathode. A previous study published by scientists at the Department of Energy’s Oak Ridge National Laboratory put it this way: “Dendrites form when metallic lithium takes root on a battery’s anode and begin growing haphazardly. If the dendrites grow too large, they can puncture the separator between the electrodes and short-circuit the cell, resulting in catastrophic battery failure, fire and explosion”. With the above in mind Gogotsi has a proven fix for the dendrite formation issue. 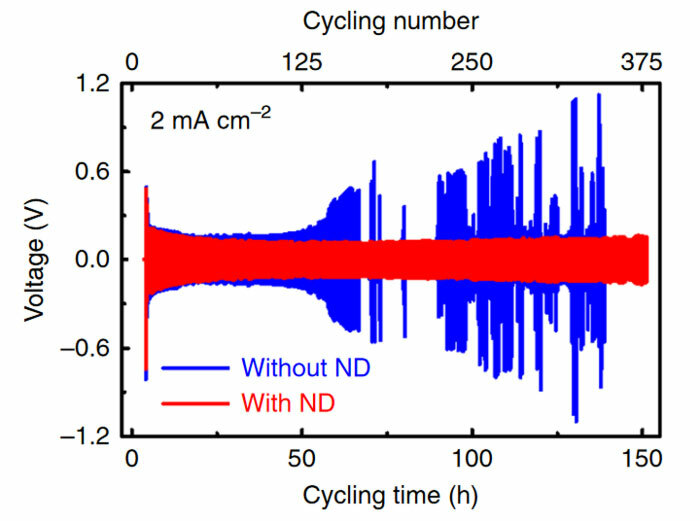 All that needs doing now is to test the precise amount of nanodiamonds (ND) required for particular Li-ion battery applications. That requires some more funding, and manufacturers to be interested in the solution. However Gogotsi says manufacturers haven’t been very interested in his solution due to the ‘diamond’ word, making it sound expensive. The professor emphasised to EETimes that nanodiamonds are, in fact “cheap to manufacture and can be created from waste materials”. He describes how nanodiamonds are formed as a by-product of disposing of expired explosives and are currently widely used in industrial abrasives, medical coatings and more. 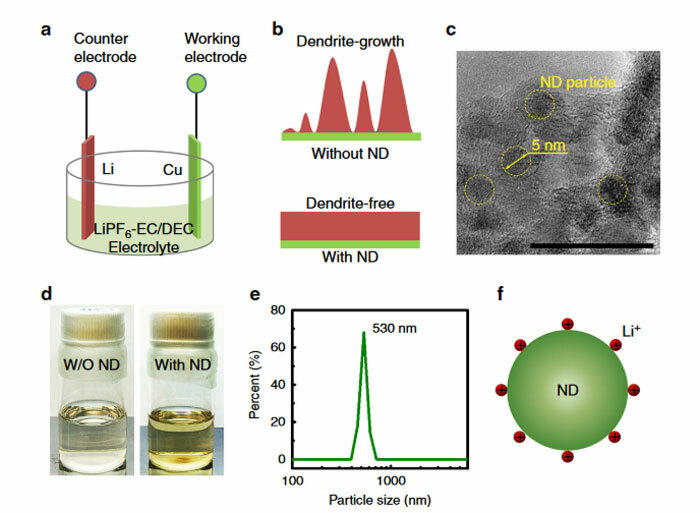 The nanodiamonds only need to be added to the electrolyte of the battery in quantities of approx 1 per cent by volume to work their dendrite busting magic. As long as the batteries only explode 6 months after purchase (when battery warranty goes bye bye), the industry couldn't care less. The note7 fiasco shows differently. When you get on a plane and are asked if you have a certain phone (and if you do, your asked to leave it and/or yourself behind! )…then the publicity isn't good! Does this mean that “batteries are a girls best friend” now?